Nutrition and healthcare – when will doctors catch up? Means testing is relevant only if your care needs are predominantly social care needs. You should only be means tested if you are found to be not eligible for NHS Continuing Healthcare. If you do genuinely need to be means tested, the local authority will take into account the following capital and savings limits. These figures include the total value of things like your savings, investments and property. The information applies to England and covers the financial year 2016-2017. 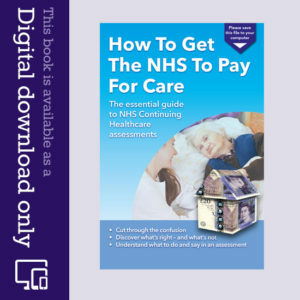 …you will be told you have to pay for care – but this applies ONLY if your needs are predominantly social care needs. You may not have been told that you could be eligible for free NHS Continuing Healthcare. … you will be told to pay for some of your care. … your local authority will pay for your care, but may still take a proportion of your income. Read more about means testing on the AgeUK website. …as your Personal Expense Allowance (PEA). Should you be means tested? NHS guidelines and the Standing Rules Regulations require local Clinical Commissioning Groups (formerly Primary Care Trusts) to assess anyone who appears potentially eligible for Continuing Healthcare. It doesn’t matter how much or how little money you have, the first question anyone in ‘authority’ should ask you is about your health needs, not your money. However, many people find that they are assessed first by the local authority, to test their financial means. As a result, they end up paying for care, and yet families report there will often have been no assessment for Continuing Healthcare. It is this mistake that has led to thousands of retrospective claims for Continuing Healthcare being made. The BBC’s File on 4 programme on 18/11/14: Continuing Healthcare – The Secret Fund, also mentioned the 40,000 retrospective cases currently awaiting review. If your local authority does a means test before you’ve been assessed for NHS Continuing Care, this can put the local authority in a potential unlawful position. Why? Because your care needs could be beyond the local authority’s legal remit for providing care, and you could end up wrongly paying. A Continuing Healthcare assessment needs to be carried out to clarify who is actually responsible for paying. The financial information on this site is a brief introduction and is not financial advice. Always take professional advice from a qualified independent financial adviser before making any decisions based on this information and before paying for care. Make sure the adviser not only understands elderly care and later life matters, but also understands the NHS’s duty to pay for care through NHS Continuing Healthcare funding. My Dad was discharged from hospital without an NHS Continuing Healthcare (CHC) assessment. He was sent to IMC and it was here the CHC assessment was completed (7th Dec) when we were advised we needed to be looking for a nursing home for him as they could do no more for him in his remobilisation. We have secured a place at a nursing home and were asked about his finances being over the threshold of £23.25K and him being self funded whilst we were still waiting for the stage 2 CHC assessment. We have paid his nursing home fees during this time. We have chased the assessment since Jan and were told they were delayed over Christmas and have a backlog. 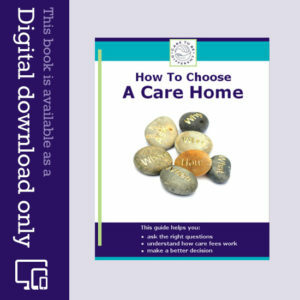 His CHC Decision Support Tool assessment has finally been set to take place next week and I’ve only just found your website – It’s a lot of information to take in and I can see some of it we have already been ill advised and should have not felt pressurised by the care home to pay his bill yet. Any guidance on what we should do now ? Should I ask for his fees back or not pay any more until we have a decision on his care ? Mum is in hospital after fracturing her pelvis and is slowly on the mend. She has lost a lot of weight and is down to six stone (lost one stone in the month she has been in hospital). This is probably due to the morphine she was on and her coughing when she eats – they have put her on a soft texture diet. Since going on this diet she has put on a couple of pounds – not much I know but every little helps. She wants to go back home when she is ready. The OT has decided that she won’t improve in her mobility, I think she will but not sure how much. The OT appears to be pushing for her to go home asap. I was told initially that Mum would have carers for free to assess her at home for six weeks. Now the OT says she will have to pay from the outset because she is not improving (?) She says she will be means tested. I’m confused as to why she has decided she isn’t improving a few weeks ago she could go up half a flight of stairs and now she can go up a full flight of stairs with help but gets out of breath. The OT says she will need carers four times a day and will sleep downstairs at the moment – she says that this might not last forever as things might improve (this is where I am confused as to why she is said not to be improving). Mum’s savings are way below the £23K and she owns her own home. Will her house be taken into consideration with when she is means tested? My wife was awarded Gold Standard Continuing Healthcare funding May 2012 which has been taken off her in 2016. Can they do this? Hi John, did you get a reply to this?